Although the inclusion of both bananas and milk would seem to make banana milkshakes a healthy treat, they can be quite unhealthy. Milk and bananas are rich sources of nutrients, but added ingredients such as sugar and fat can add empty calories that outweigh their nutritional benefits. You should note that not all banana milkshakes will have the same nutritional values due to variances in recipes and serving sizes, so check labels when possible. According to the information from online nutrition data website MyFitnessPal, a typical medium-sized banana milkshake -- a serving size of 375 grams -- contains 440 calories. Based upon the recommended daily intake of 2,000 calories, a banana milkshake of this size contributes 22 percent of your daily calorie intake. However, performing exercise and other activity can increase your calorie needs. Although bananas and milk are both low in fat, MyFitnessPal notes that a banana milkshake contains 12 grams of fat. Of this fat, 9 grams come from saturated fat, which is considered to be less healthy than unsaturated fat. The American Heart Association explains that while some fat is necessary for you, saturated fats should be avoided because they may increase your levels of LDL, or bad cholesterol. Banana milkshakes are high in carbohydrates -- according to MyFitnessPal, one medium shake contains 71 grams of carbohydrates. Of these carbohydrates, 54 grams come from sugar. Although bananas do contain some natural sugar, milkshakes often include high levels of added sugar for flavor. According to research from the February 2008 issue of the "Journal of the School of Nursing," sugar-sweetened beverages are related to increased obesity, partly because they do not trigger feelings of fullness. According to MyFitnessPal, a banana milkshake typically only contains 11 grams of protein. Protein is a vital nutrient because it supports growth and repair of your body's cells. Although protein is most often associated with muscle, it is present in tissues throughout your body. If you find that take-out banana milkshakes are not appropriate for your diet because they are too high in calories, you can make your own. To reduce calories, use less sugar or use a sugar-free sweetener. You can also reduce calorie and fat content by using skim milk. 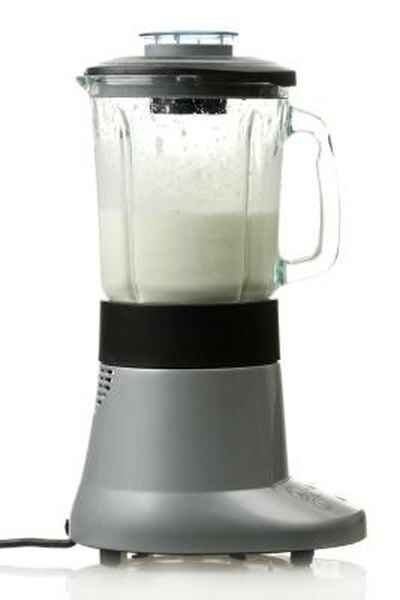 In order to add protein to your banana milkshake, you can add protein powder, Greek yogurt or more milk. How Much Oatmeal Is Needed to Reduce Cholesterol?